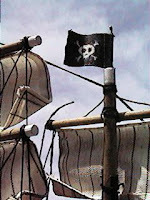 Today's track is "My Monkey" from mopehead's SS-MOPEHEAD CD. 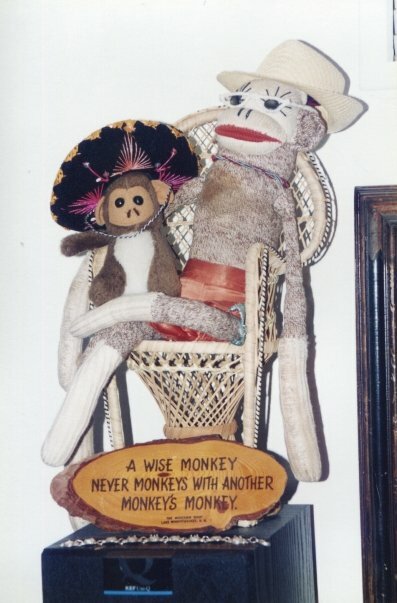 Here's the back story of My Monkey - My Grandma made me a sock monkey and from what I recall she gave it to me when I was around five. I really loved that monkey and named him "Funky Monkey". Well, my Mom didn't like that name since it sounded too much like the "F" word, so she forbade me from calling him that. I didn't understand (and at five who could blame me). So I called him my monkey, but I knew his name was "Funky Monkey". Anyhow, I've kept that sock monkey and still have him today. Enjoy the strangeness that resides on SS-MOPEHEAD. 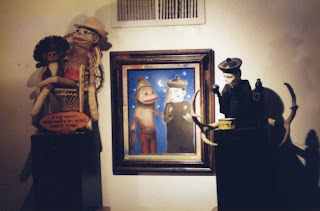 The photograph below is of My Monkey, the Monkey's monkey and Mr. Puppet along with the painting by J.E. Moores of My Monkey and Mr. Puppet.